Bids were invited in late 2017 for the full rehabilitation of the 3015 MW Nurek scheme. Tajikistan’s state power utility Barqi Tojik has awarded Andritz a contract for the rehabilitation and modernization of the entire electro-mechanical equipment at the 3015 MW Nurek hydropower plant on the river Vakhsh. The €120 million contract, which was announced on 2 August, entails the comprehensive modernization of the plant’s nine generating units including the supply and installation of new 380 MW Francis turbines and generators, new transformers, electrical and mechanical auxiliary equipment within the powerhouse and the inspection and repair of all nine penstocks. The modernization project is expected to increase the installed capacity of the plant by about 12 per cent. Andritz said that the contract work will comply with the environmental protection measures and meet the water management requirements. “Together with the Rogun hydropower plant, which is under construction and located upstream of the Nurek reservoir, this project will optimize water storage management on the Vakhsh river cascade, ensuring a significant increase in electricity production by the Nurek hydropower station as well as meeting the changing grid demands,” Andritz said in a statement. Barqi Tojik invited bids in late 2017 for full rehabilitation of the plant in two phases by 2023 (see H&D Issue 5, 2017). The storage scheme, which is currently 77 per cent operational, has not undergone major rehabilitation since it entered commercial service in 1972. The rehabilitation, which aims to increase the production, capacity, efficiency and safety of the plant and dam, is being co-financed by the World Bank. Financing totalling US$ 285.7 million was approved in 2017 for the first phase, which will cost an estimated US$ 350 million, with US$ 225.7 million in debt and grant financing from the World Bank and a US$ 60 million loan from the Asian Infrastructure Investment Bank. Additional financing is to be provided by the Eurasian Development Bank (US$ 40 million). Nurek, which is the cornerstone of the Tajik power generation system, meeting around 70 per cent of national power demand alone, is one of three key hydropower plants in the Central Asian state with the 126 MW Qairokkum and 240 MW Sarband (formerly known as Golovnaya) facilities to undergo rehabilitation. Rehabilitation is recognized as the most cost-effective and quickest short-term fix for the country’s power supply issues. 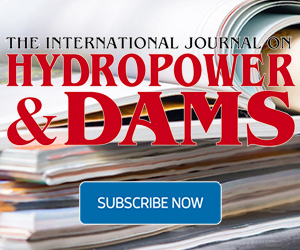 Many of the country’s hydropower plants, which were built in the 1960s and 70s, are operating well beyond their design lives. According to a World Bank report, about 60 per cent of the current capacity should be rehabilitated by 2020 and about 80 per cent by 2030 to avoid a fall in firm capacity from 2100 MW to 760 MW by 2030. Installation of the first unit began in January 2018 with full commissioning in March 2018 and performance testing completed in July 2018. Eagle Creek Renewable Energy LLC is to become a wholly owned subsidiary of OPG.